The first Boker Plus pocket knife design from South Africa by Kevin and Heather Harvey, or -inHeavin-in as they are recognized by many. This radial hawkbill blade design is a true representation of their unique grinding methods that offer a blade of extreme sharpness. The G-10 handle scales are designed to melt into your hands. 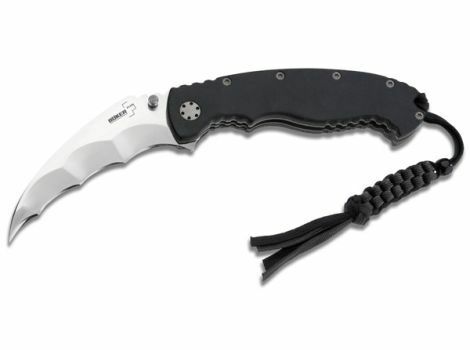 Blade is made of 8Cr13MoV steel, and features a bead blast finish. 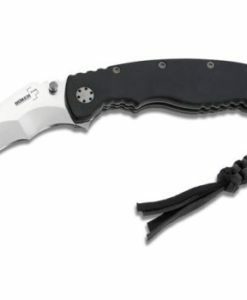 Includes lanyard and pocket clip. Overall length: 8 1/4-in. 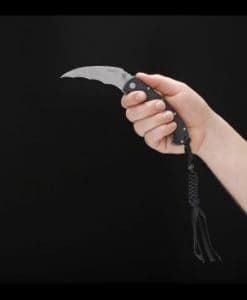 Blade length: 3 3/4-in. Weight: 6.2 oz.